Pilot pins are inserted into product holes and pilot holes in materials to ensure the correct pitch is obtained during positioning. 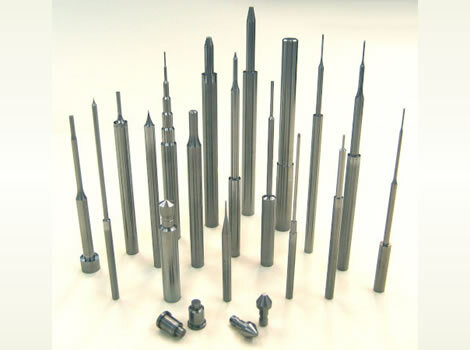 We design the pin tips so that they are tapered or rounded, for ease of use. We perform lapping on the tip as necessary.